NAPLES, Fla. (February 20, 2018) – Seaside surgeon partner Christopher J. Calcagni, DPM, has received board certification in Lower Extremity Medicine and Surgery by the American Board of Lower Extremity Surgery (ABLES). ABLES is a not-for-profit, multidisciplinary, autonomous certification board that has been recognized for its rigorous performance-based certification processes for more than 30 years. Specializing in minimally invasive foot and ankle surgery, Dr. Calcagni has been in practice since 2009. 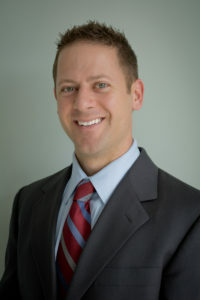 He has taken courses from the AO Institute, Wright Medical, and Arthrex. Dr. Calcagni has special interests in wound care and diabetic limb salvage, with advanced training in hyperbaric medicine. As a former high school and college athlete, Dr. Calcagni is passionate about sports medicine as it pertains to foot and ankle health. He was a standout football player in Ohio and he went on to play for Oklahoma State University from 1999 to 2002. After graduating from Oklahoma State, he returned to Ohio and graduated from Kent State University College of Podiatric Medicine in 2006. Dr. Calcagni completed his residency training in 2009 at Western Reserve Care Systems, where he served as chief resident for one of the top three-year foot and ankle residency programs in Ohio. He has since been providing foot and ankle care to athletes of all ages.